The report was Baird’s first as head of the U.S. Commission of Fish and Fisheries. The year was 1872. Over the next century, as fishing became increasingly mechanized, Huxley’s notion that oceans are infinitely bountiful persisted even as evidence mounted that they are not. Today, 80 percent of global fish stocks have been fished to the limit or beyond, and our failure to protect the ocean — not just the fish in it — as a finite resource now threatens its ability to recover, argued an international commission of government and business leaders in a 2014 report. “Habitat destruction, biodiversity loss, overfishing, pollution, climate change and ocean acidification are pushing the ocean system to the point of collapse,” the Global Ocean Commission co-chairs warned. Scientists know how to cure many of the ills plaguing the high seas — that is, ocean waters farther than 200 nautical miles from shore, beyond the jurisdiction of nations. Restricting industrial activities like fishing, shipping and deep seabed mining in biodiversity hot spots would go a long way toward restoring ocean health, they say. But there is no room for such measures in a regulatory structure created to manage consumption and commerce, not conservation. It’s a system that’s stubbornly clung to Huxley’s tunnel vision, even in the face of evidence so alarming Baird could scarcely have imagined. The primary international framework for regulating the ocean’s bounty is the United Nations Convention on the Law of the Sea. UNCLOS, which went into effect in 1994, was set into place to fill in gaps left by earlier U.N. agreements, which regulated shipping (through the International Maritime Organization) and fisheries (through the Food and Agriculture Organization). The treaty was soon supplemented by the 1994 Implementation of Part XI of UNCLOS, which governs deep seabed mining of nonliving resources (through the International Seabed Authority), and the 1995 U.N. fish stocks agreement, which depends on 10 regional fisheries management organizations, known as RFMOs, to implement its sustainability guidelines. UNCLOS depends on 166 countries to ensure their own citizens and vessels comply with the treaty in areas beyond national jurisdiction — two-thirds of ocean waters. Countries tend to sign on to intergovernmental agreements – called “sectoral” agreements because they govern different business sectors — that reflect their national interests. These sectoral agreements create authoritative bodies to ensure the equitable use and exploitation of marine resources among nations. Although the sectoral bodies represent the interests of the fishing, mining, shipping and other industries they govern, they can pass conservation measures if they want to. And some have: One sectoral body, the International Whaling Commission, for example, introduced a moratorium on whaling in the 1980s under pressure from non-whaling member countries. In contrast, the RFMOs, sectoral bodies that mostly include only fishing nations as parties to the agreements, have generally resisted conservation measures. UNCLOS also protects the economic interests of nations with provisions that give coastal countries exclusive rights to marine resources within 200 nautical miles offshore. Most offshore oil and gas exploration, for example, is overseen by countries within these exclusive zones. But inadequate national regulations can lead to disaster, as the 2010 Deepwater Horizon oil spill — which left 11 dead and dumped nearly 5 million barrels of oil into U.S. waters in the Gulf of Mexico — made painfully clear. The only way to prevent similar disasters, the Global Ocean Commission panel argues, is through a binding international agreement on safety and environmental standards that holds corporations liable for environmental damage. One of the biggest problems for ocean conservation, many scientists say, is that the sectoral agreements rely on binding measures for compliance, while conservation pacts, such as the Convention on the Conservation of Migratory Species of Wild Animals and the Convention on Biological Diversity, depend almost exclusively on voluntary measures. 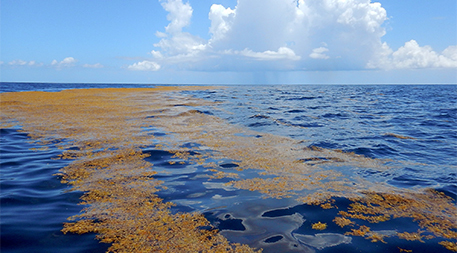 Take, for example, the case of the Sargasso Sea, a massive stretch of ocean in the North Atlantic named after the sargassum seaweed that supports a diverse community of turtles, fish, snails, crabs and other animals. The Sargasso provides spawning and nursery habitat for scores of species, including endangered American and European eels, which travel thousands of miles from rivers and streams to spawn in the itinerant mats of vegetation. It’s the only sea bounded by currents, not land, yet that has afforded little protection from human impacts. The currents concentrate pollution, plastic and other debris. Scientists at the Monterey Bay Aquarium Research Institute suspect these pressures may have contributed to significant declines in biodiversity since the 1970s, which they reported in a 2014 Marine Biology paper. In 2010, Kristina Gjerde, high seas policy adviser for the International Union for Conservation of Nature’s Global Marine and Polar Programme, helped set up the Sargasso Sea Alliance to protect this vulnerable ecosystem. 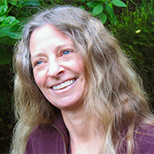 Gjerde and her colleagues made the scientific case for recognizing the Sargasso as an important ecological area that warrants protection to the U.N.’s Convention on Biological Diversity. Delegates at the 2012 U.N. biodiversity talks agreed that the Sargasso meets the criteria for protection. But the authority to manage marine protected areas beyond national jurisdiction lies with the intergovernmental sectoral organizations that share a stake in the area. So the Sargasso team had to appeal to each in turn. First they approached the fishing body with jurisdiction over tuna fisheries in the Sargasso Sea, the International Convention for the Conservation of Atlantic Tuna. Representatives told the Sargasso team they didn’t see the rationale for protecting a region that doesn’t have much fishing. Next, the team approached the International Maritime Organization, which regulates shipping pollution. Officials wanted proof that sewage, ballast water discharge (which can carry alien species as well as pollution) or ship transit was harming the sargassum. “Proof is a very hard level to surmount in any issue,” Gjerde says. That’s why scientists have been trying to convince the bodies governing industrial ocean activities to embed precaution into their activities, she says. Finally, after years of negotiations, Gjerde and her allies won at least some protection for the Sargasso. Last year, the Northwest Atlantic Fisheries Organization agreed to outlaw mid-water trawling gear that could harm the seabed, report any vulnerable indicator species caught in the trawlers and declare all seamounts in its jurisdiction off limits to bottom trawling through 2020. The Sargasso team has not yet reached similar agreements with the International Maritime Organization or the International Seabed Authority, which governs mining of the sea floor. And that illustrates one of the most frustrating flaws in existing regulatory structures. The lack of a comprehensive regulatory framework means that ocean advocates can protect a sensitive area from one type of exploitation only to find it at risk from another. The open oceans cover nearly half the Earth, harbor some of its most environmentally important regions, and provide employment and food security for tens of millions of people. Yet, with conservation bodies powerless to issue sanctions, it’s possible to exploit the ocean’s resources until there are no more resources to exploit. Marine species at risk from overfishing must also contend with pervasive pollution from plastics, sewage, industrial chemicals, agricultural runoff and other contaminants. Ships release about 1.25 million metric tons (1.4 million tons) of oil each year, and cruise ships alone release as much as 30,000 gallons (100,000 liters) of sewage every day. 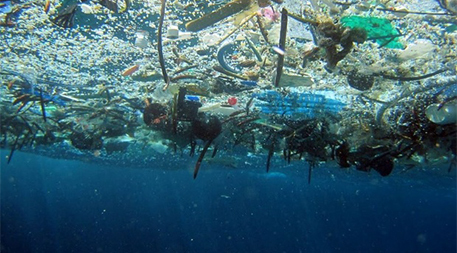 Scientists estimate that plastic waste kills more than a million seabirds and 100,000 marine mammals a year. Adding to these stresses, scientists have documented evidence of climate change’s impacts on marine life. Cod and other deep-sea fish are moving toward the poles in search of colder waters. Coral reefs unable to tolerate warmer waters made 30 percent more acidic by excess carbon dioxide are experiencing widespread bleaching. And because warmer waters absorb less oxygen, species like tuna and marlin, already under intense pressure from fishing, are spending less time hunting in deep waters. “Political will is at the heart of everything.” – Michael OrbachAs serious as these effects are, many scientists believe that controlling pollution and overfishing while protecting habitat can buy enough time to help species recover from climate change’s impacts. They say recent advances in satellite and remote sensor technology can now spot vessels that fish illegally, which could help keep millions of tons of fish off the black market. Interpol, the international police watchdog, recently established a fisheries crime unit to help countries apprehend pirate fishers when they come to port. But success depends on countries working together to hold illegal fishers accountable. Convincing nations to collaborate on international conservation measures has proved a heavy lift, says Michael Orbach, professor emeritus of marine affairs and policy in the Nicholas School of the Environment at Duke University. “Political will is at the heart of everything,” he says. Countries need resources for monitoring and enforcement, but they also need the will to use those resources for conservation. “That’s a big requirement,” Orbach says. If it were up to Orbach, all human activities on the high seas would need a permit from a regulatory body with the authority to monitor and sanction violators. That would solve the problem of relying on fisheries, shipping and mining organizations to police themselves. That’s why ocean advocates have been working behind the scenes for years to build biodiversity protections into the law of the sea. Finally, their efforts are paying off. Last year, the U.N. General Assembly adopted a resolution to expand UNCLOS to protect marine biodiversity and genetic resources in areas beyond national jurisdiction. The resolution, which calls for developing marine protected areas and environmental impact assessments, lays the groundwork for creating stronger high seas conservation measures. The first of four “preparatory committee” sessions to hash out what those measures should look like took place this past spring. Gjerde, who participated in the meetings, says the agreement shows that countries finally recognize that it will take an international legally binding agreement to ensure meaningful protections. With just 2 percent of the ocean protected — and some scientists recommending 30 percent to safeguard biodiversity — creating marine reserves is a top priority.The agreement aims to create a regulatory body with the authority and infrastructure to enforce conservation rules and sanction misconduct. It also provides a process for designating marine reserves that restrict any activities that could harm habitat from the deep seabed to the top of the water column. With just 2 percent of the ocean protected — and some scientists recommending 30 percent to safeguard biodiversity — creating marine reserves is a top priority. The committee expects to deliver recommendations to the General Assembly at the end of 2017. Then the hard work of building international consensus on the new biodiversity agreement begins, a process that could take years. And that’s where the public can play a role. 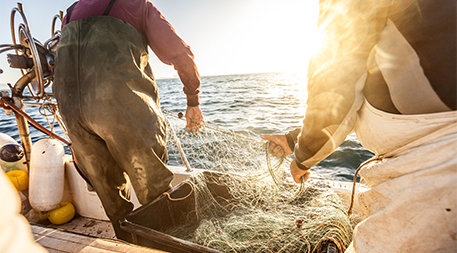 Consumers can influence the fisheries, for example, through the power of the pocketbook, or pressure their governments to enact emission controls on ships, a source of largely unregulated greenhouse gas emissions. Ultimately, good ocean governance lies beyond what individuals can accomplish.Social media can also be useful, says Gjerde. While scientists and conservation groups were urging the International Seabed Authority to open its mining decisions to public scrutiny, a Twitter campaign helped get nearly 800,000 signatures on a petition calling for the same thing. If enough people voice concern about the oceans, scientists can use the outpouring of support as leverage at the preparatory committee’s next UNCLOS marine biodiversity meeting in August, says Gjerde. Ultimately, good ocean governance lies beyond what individuals can accomplish. And Gjerde believes the new U.N. biodiversity agreement will finally give scientists the framework they need to set oceans on the path to recovery. She found reason to be optimistic at the first round of talks in April. Rejecting Huxley’s insistence 130 years ago that humans could never harm our planet’s expansive oceans, delegations came prepared to grapple with what they had to do to ensure sustainable management of the seas. Good piece on an important topic. Glad to see it here. Thanks! We do need to extend the umbrella of protections. Thanks for such an informative report. The reasons for the oceans crisis can be summed up as industrial growth, population growth, and the dominant culture of shortsightedly exploiting nature. Coming at the problem from a different slant than regulatory and diplomatic approaches, we at Sail Transport Network and SAIL MED see world trade that is carried out by approximately 90,000 oil-burning cargo ships as completely unsustainable. While we promote the eventual control of emissions (the International Maritime Organization has dragged its feet), and we offer the sail-power alternative -- which admittedly cuts trade volume without all the subsidized petroleum for huge ships carrying products of often questionable need -- we point out that the health of the oceans needs to be considered. Engine noise greatly disturbs whales, for example, who need to communicate, navigate, find mates, etc. Collisions with sea creatures is devastating. Propellers chop them up. Oil spills are toxic and routine, and are mostly deliberate and "under the radar." To learn more, please see www.sailtransportnetwork.org and www.sailmed.org . Great, comprehensive information--hope it gets the universal exposure it deserves! It is hard to get people to support anything that deals directly to the environment, and any thing that does not effect people's lives directly. It seems that people are very apathetic to things outside their own control. I live in the Washington Heights area of Harlem, and the streets are filled with litter. No one really cares about the trash on the streets, and the few that create the litter don't care either; the only ones that care are the few shop keepers that have to (by law) clean up the mess. If people don't care about the communities that they live in; why should they care about the oceans that they don't live in? They have been trying to raise awareness of the issues of pollution, litter, and the environment for decades, and look where it has gotten us so far; no where. If we are to change peoples awareness and help them to understand why they should be concerned; we need to start from an early age to break the apathy that dominates the older generations. kristi276 -- This is a really important point you're raising. I agree that awareness and concern have to start closer to home. Thank you for weighing in and sharing your own experiences.